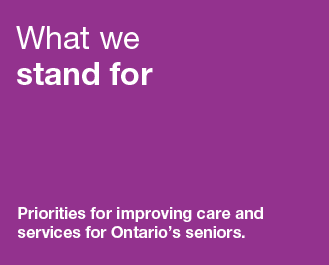 AdvantAge Ontario is the trusted voice for senior care. 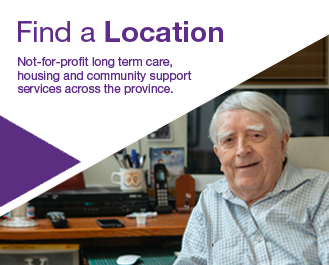 We are community-based, not-for-profit organizations dedicated to supporting the best possible aging experience. On May 6-8, we’ll be commemorating our 100th anniversary as an Association at the Sheraton Centre Toronto Hotel. Don’t miss the once-in-a-lifetime celebration! 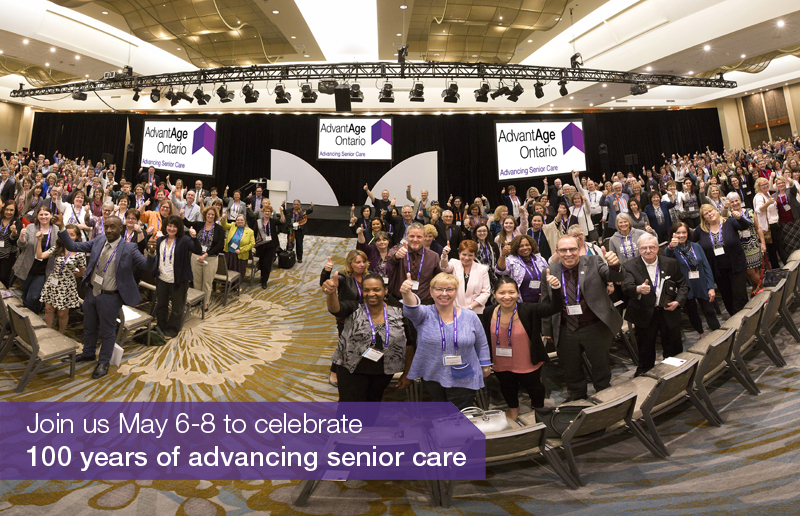 Visit advancingseniorcare.ca for the full program. 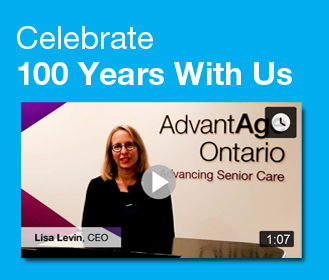 On May 6-8, we’ll be commemorating our 100th anniversary as an Association at the Sheraton Centre Toronto Hotel. Don’t miss the once-in-a-lifetime celebration! 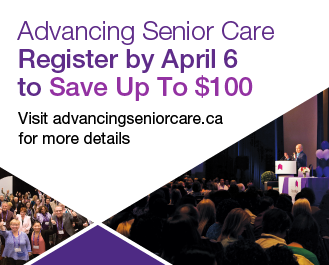 Visit advancingseniorcare.ca for the full program and to register by the April 6 early bird deadline. 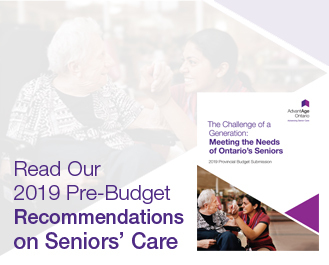 Today, AdvantAge Ontario welcomed the 2019 Ontario Budget and the government’s renewed commitment to add much-needed capacity in long term care and home and community care. Niagara College graduates are providing fitness instruction to seniors at Tabor Manor. Brenda Schultz has more on this successful collaboration. The provincial government has approved an expansion of the counties-owned Maple View Lodge that will triple the number of long-term-care beds at the home near Athens. Jamie Lowery is always up for a challenge. The chief executive officer at Cassellholme Home for the Aged fulfilled his end of the bargain when staff raised more than $500 to see him get his head shaved. A physician, registered practical nurse, dietary aide and occupational therapist – very different roles, each working at a different St. Joseph’s Health Care London site. Ella Fudge celebrated her 99th birthday with family and friends Sunday at Eastholme Home for the Aged in Powassan. The County of Lambton is now offering adult day programs six days a week at Marshall Gowland Manor and Lambton Meadowview Villa. An annual $50,000 bump to funding for adult day programs in Lambton County will allow a pair of programs to expand by one day each, as part of a province-wide effort to support people living with dementia. Advocacy groups are sounding the alarm over the Doug Ford government’s health care changes, but hospital leaders in Renfrew and Arnprior are optimistic with the direction taken by the Ministry of Health.